Whether your float plan has you tucked into the Gulf or leap-frogging the shore of the Atlantic Coast, every boater should have a strategy at the ready for the worst case scenario. Some boaters haul out at the first sign of serious weather, keeping their boats securely stored on land, but that's not always an option for cruisers, liveaboards, and boaters making the migration south. For those who are weathering the storms with your keels still in the water, here's our list of some of the most highly-noted hurricane hideouts from the Chesapeake Bay to southeast Florida. 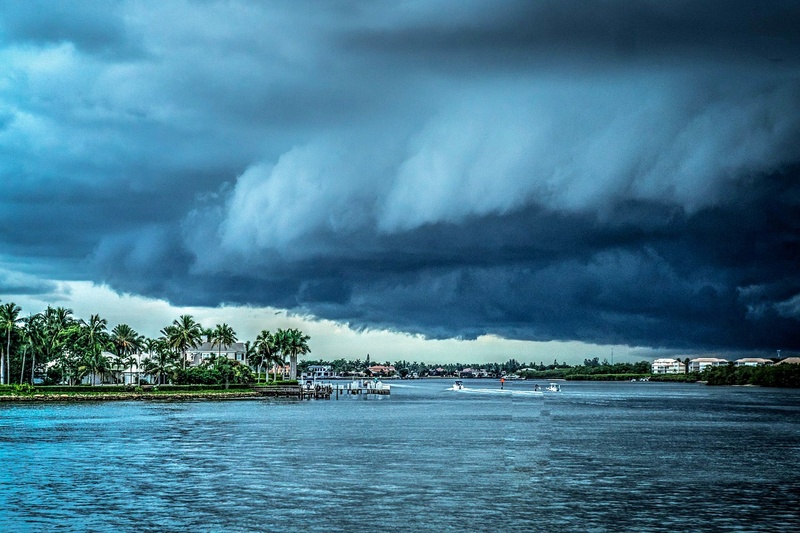 When it comes to evading serious storms, having a safe harbor for your home on the water is paramount and it ultimately falls to each boater to do his or her own due diligence when making the decision as to where to tie up. 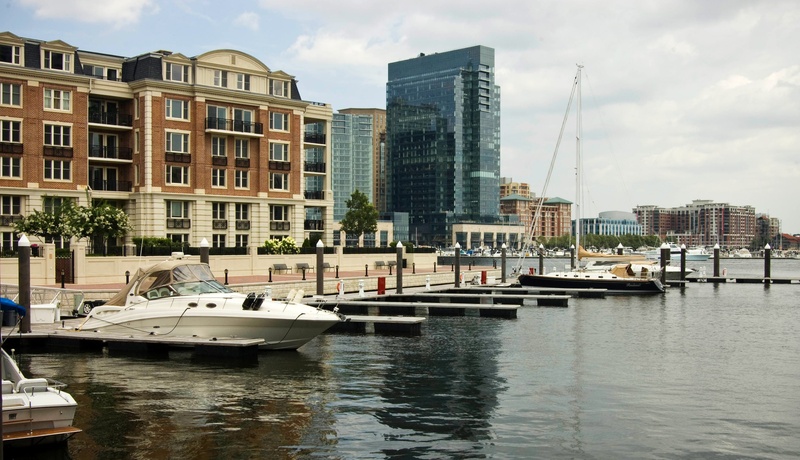 We've compiled research tips we’ve heard, as well as some suggestions for marinas to consider. Please stay safe, and let us know if we can do anything to help you find dockage as storms approach! What makes a marina/harbor a "Hurricane Hole"
One key characteristic of a hurricane hole is, of course, its location. The ideal location for a boat in a storm is a harbor that is sheltered from wind and waves on four sides, by land that rises well above sea level – not simply a man-made breakwater. 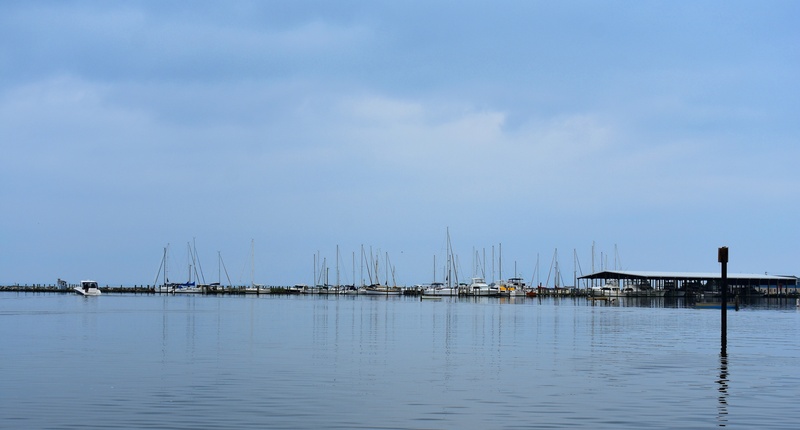 When it comes to a marina's docks, we’ve heard competing theories: on one hand, a marina with floating docks and sturdy pilings that extend well above high tide can rise to match the storm surge. On the other, fixed slips aren’t in danger of giving way as easily as floating piers. Investigate each marina on a case-by-case basis. Also assess how high the fixed pier is off the water level, and how new the docks are. Either way, the more spacious the slips, the better, so that vessels have room to swing without the risk of collision. The marina & harbor history also plays a part. 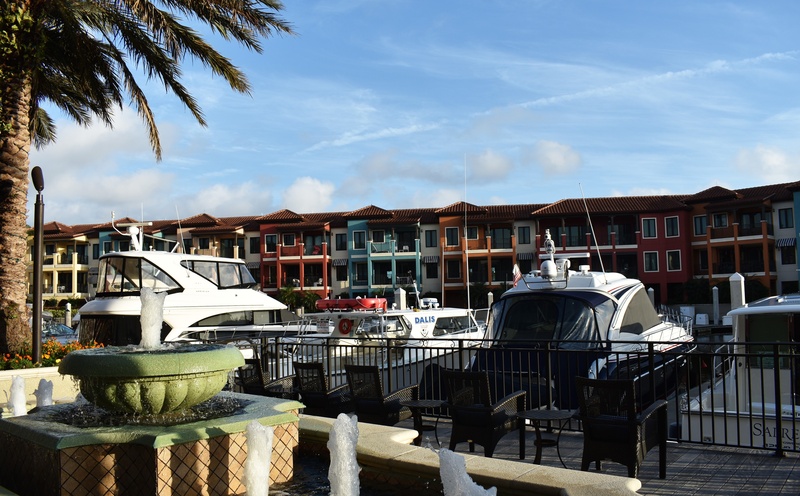 Marinas rarely remain exactly the same season after season – a large part of the reason forums are so crucial to cruisers, as captains continuously share intel in order to help their fellow mariners make the best decisions for their vessels. If one season a marina’s docks are badly battered by a storm, the following season your research should focus on what work the marina has done to rebuild. With regard to the surrounding town: although a marina may have a reputation for being a hurricane hole, if the town has undergone development that new construction could damage a harbor’s natural protective elements. Baltimore is an excellent safe harbor, completely protected on all sides. The team at Baltimore Marine Centers (BMC) have plenty of slips available for boaters looking for a safe haven. Each marina is able to accommodate megayachts of 300'. Rock Hall Landing Marina, Rock Hall, MD, has slips available for boats ranging from 35' to 100' LOA. Coan River Marina in Lottsburg, VA, sits to the south of the bay in the Lower Chesapeake, and can take boats up to 50'. Smithfield Station Marina, just up the James River from Norfolk, VA, can accommodate vessels of up to 80' LOA. Windmill Harbour Marina is one of the most secure locations you can find in rough weather. It is over over five miles from the shore in Hilton Head, South Carolina. This marina has a very rare harbor lock system, which helps keeps boats secure during strong surges and tides, as well as any swells and rough seas. 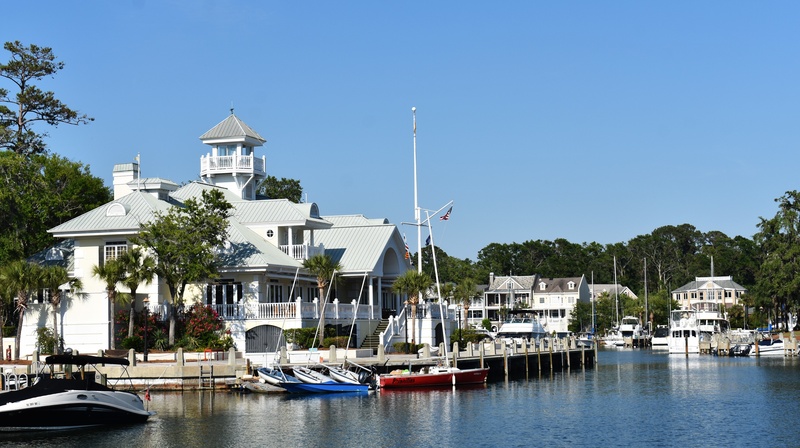 Wilmington Marine Center is nestled in an enclosed basin off of Cape Fear, providing boaters with the comfort of no currents or wakes throughout their stay. Fun fact: It is also a North Carolina Clean Marina! 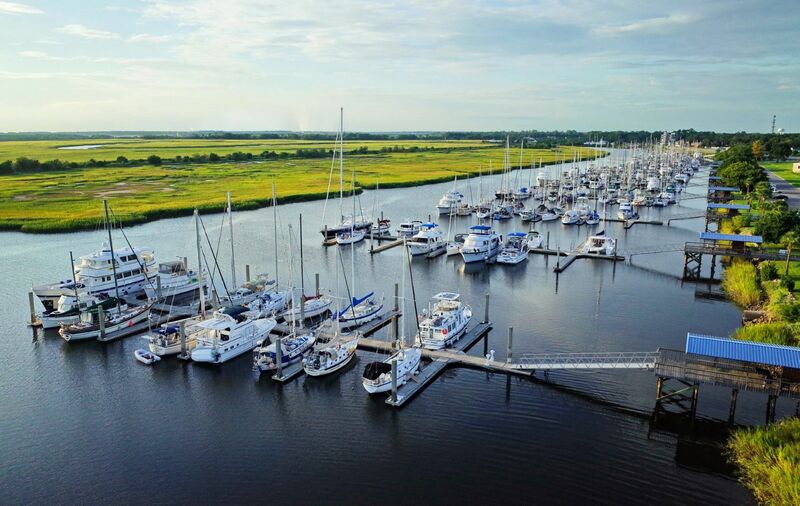 River Dunes Marina in Oriental, NC, is said to be one of the safest marinas to dock your boat at in a hurricane. It is a protected marina on the Intracoastal Waterway with year-round boating, floating docks, and transient dockage. The marina also has a generator for the fuel pumps in case the power goes out. 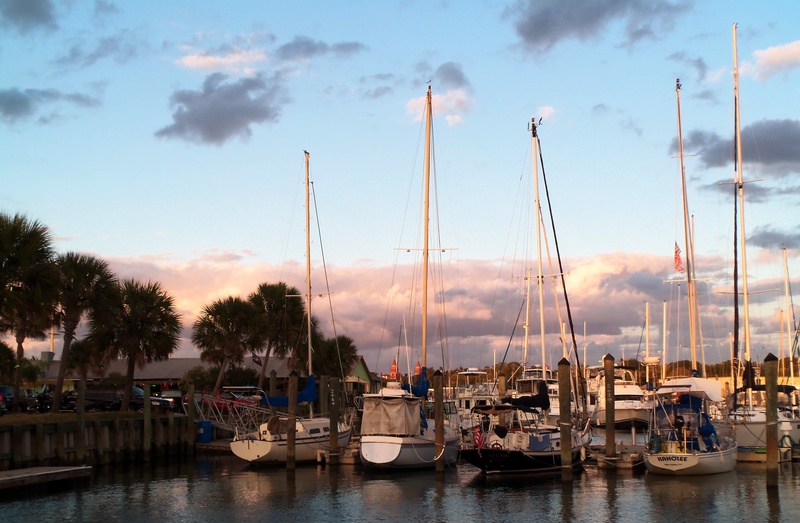 River’s Edge Marina is located on the North East coast of Florida in St. Augustine. Protected by three separate inlets, this 100 slip marina is almost 3 miles from shore. The separation and distance provides great protection along with an excellent reputation for weathering storms in the past. 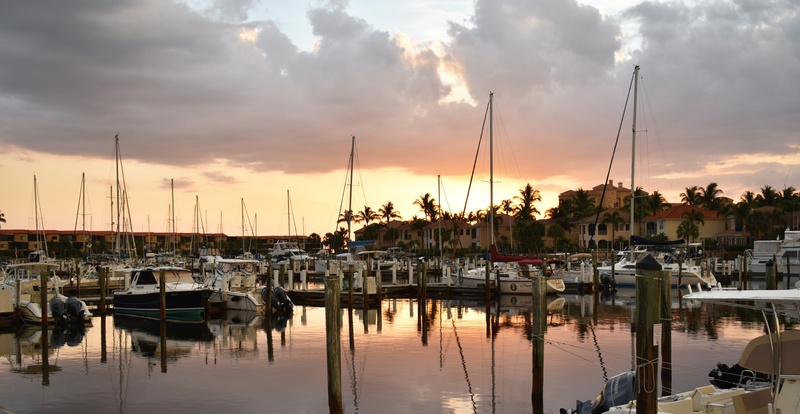 The Bluffs Marina has created a great reputation for itself as being one of the best marinas to remain safe from storms in Southeast Florida. 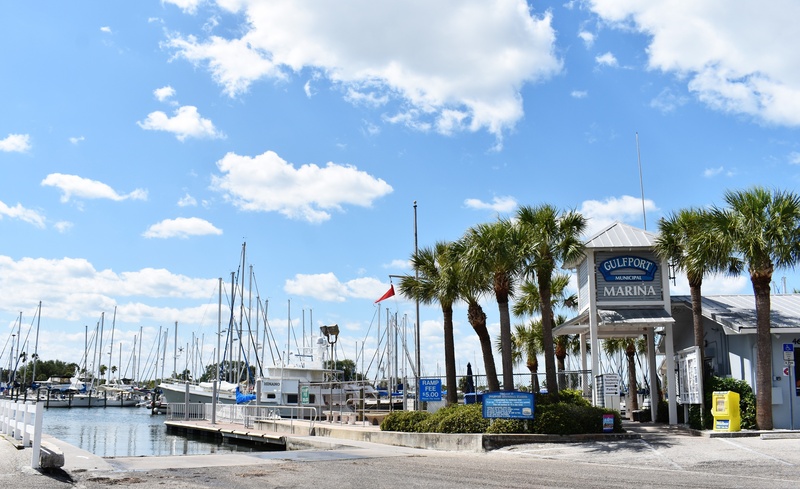 Having most of its transient business come from boaters looking for security, the Bluffs Marina is located in an excellent, secure inlet, keeping boats safe from rough seas and surges. Gulfport Marina has plenty of space in it’s private inlet in the center of Western Florida, with over 250 slips. Along with an excellent man-made cove for protection, Gulfport Marina is over 3 miles inland from the coast and entrance of the harbor. Paradise Marina is located in Fort Myers, Florida. It is highly protected by its surroundings and location. Nestled in a sheltered harbor, Paradise Marina can accommodate boats up to 60 feet and liveaboard's are always welcome. Watson Bayou Marina is another hurricane hole marina in Panama City, Florida and is located less than four miles from the Panama City pass and the Gulf of Mexico. The marina is protected enough from any hurricane winds. Burnt Store Marina is surrounded by many buildings to protect the private cove from any strong winds, seas and surges. It is also located several miles inland. There is plenty of room in this 200 slip marina, which should give each boater plenty of space to securely tie up their vessels. For additional information on how best to prepare and secure your vessel for a hurricane, check out this great article by BoatUS.